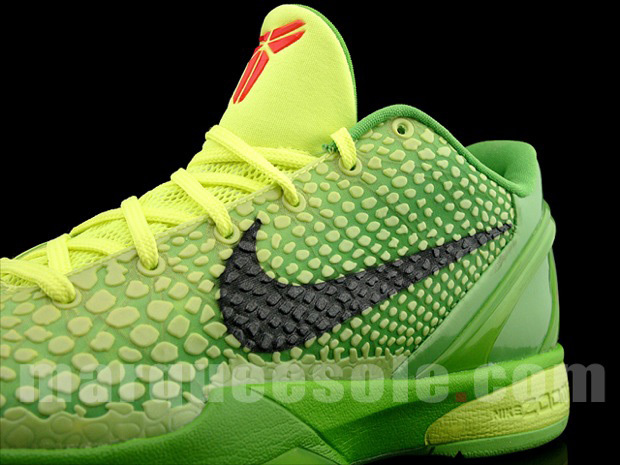 Our best look yet at the much talked about "Christmas" edition of the Nike Zoom Kobe VI. 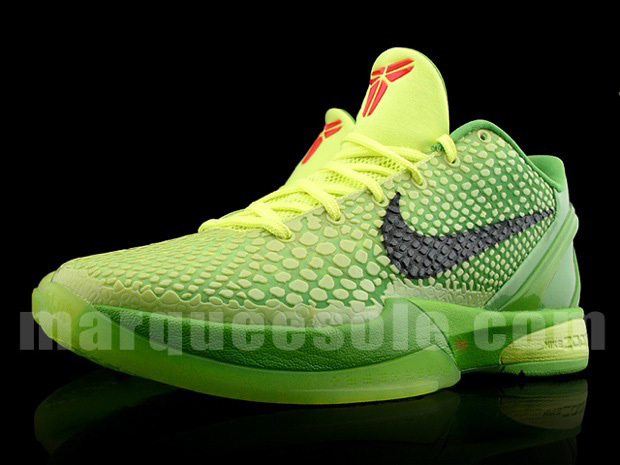 Following up last year's holiday release of the "Chaos" Zoom Kobe V, Nike Basketball has put together yet another extremely loud colorway for Kobe Bryant to sport this Christmas day. 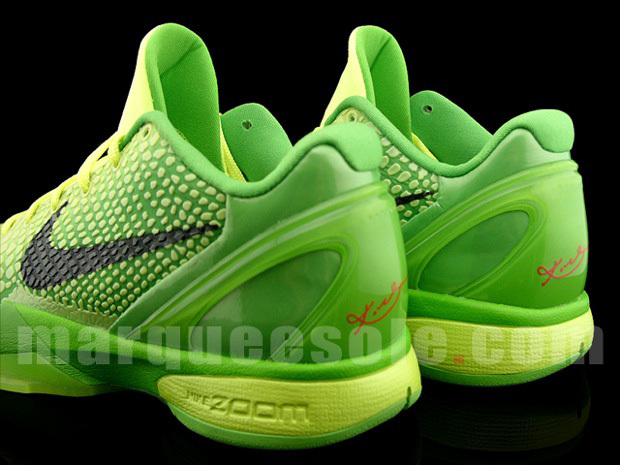 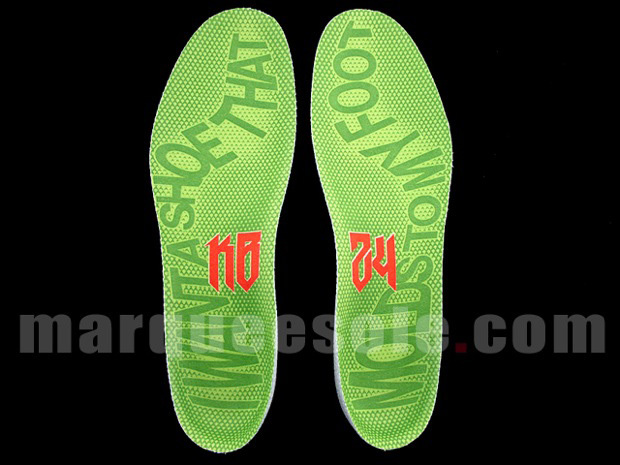 Many have also speculated that this is this year's follow-up to the Bruce Lee edition of the Zoom Kobe V. If there's any Bruce Lee connection, it would clearly be from Bruce Lee's role as "Kato" in the classic "Green Hornet" TV series. 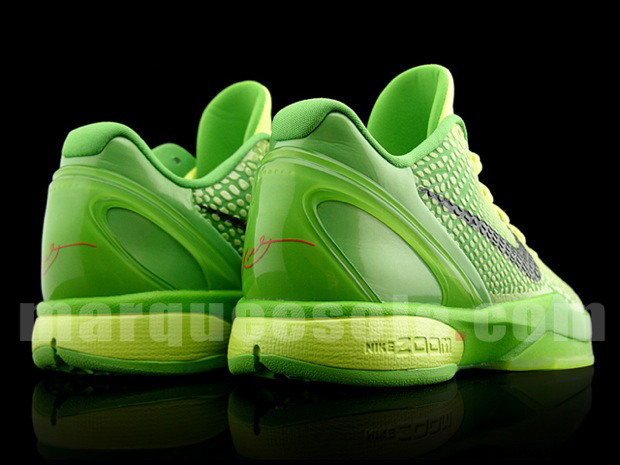 Which also served as inspiration for the recently released "Super Heroes Pack" Zoom Huarache Trainer. 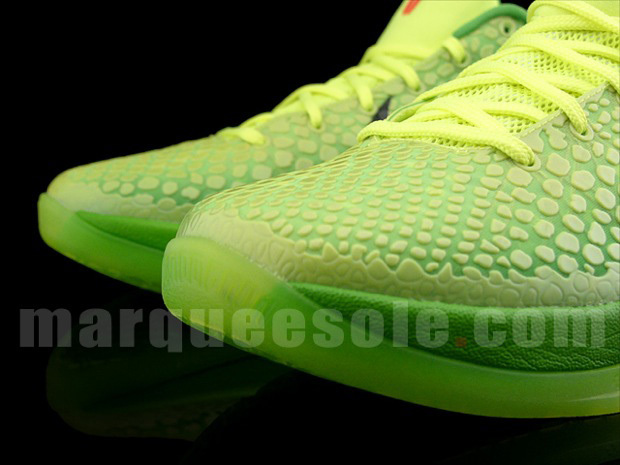 Drawing comparisons to the legendary "Kryptonate" ASG Air Foamposite Lite, the Christmas edition of the Zoom Kobe VI makes use of an electric green gradient upper, with the reptile scales the Zoom Kobe VI has become known for. 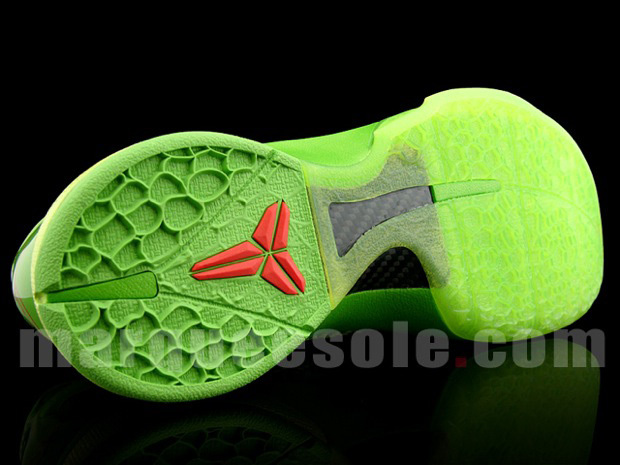 Several different shades of electric green work throughout, along with a black Swoosh and hits of varsity red on Kobe branding throughout. 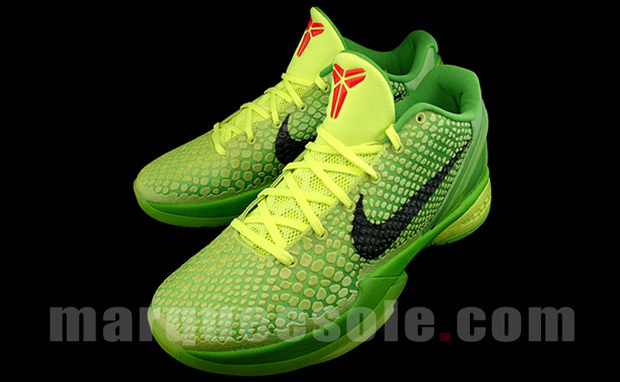 Look for the "Christmas" edition of the Zoom Kobe VI to debut on Bryant's feet this Christmas and expect for them to release December 26th at select Nike Basketball retailers.